Austria has proven to be an economic safe haven in the past few years, but the troublesome CEE countries are still playing on lawyers’ minds. A favourite topic of conversation around the dinner table for wealthy Viennese is the astronomical price of apartments in the centre of town. They bemoan how rich Russians are coming in and snapping up the grand, high-ceilinged apartments on the imposing avenue that circles the centre of town, the Ringstraße. The Russians, they say, like the climate and the genteel lifestyle that Vienna offers, and will pay almost anything to get these apartments. There have been a few late nights at many of Austria’s top law firms in the past year. At the end of 2009, the government was dealing with the emergency nationalisation of the country’s sixth largest lender, Hypo Group Alpe Adria (HGAA), and Austria’s top lawyers had been called in to help clear up the mess. Equity partners from a number of big Austrian firms have decided to go it alone, setting up boutiques over the past 12 months. 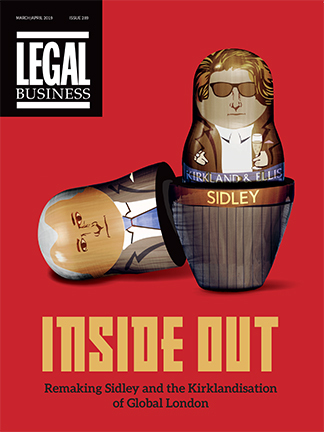 Legal Business explores the impact these moves are having on the market. In the final days of last summer in downtown Vienna, a small law firm opened its doors for the first time. Nothing unusual there, except that this firm, Benn-Ibler Rechtsanwälte, was opened by five well-respected former DLA Piper Weiss-Tessbach partners who quit in January 2010. When the partners left their old firm, they walked out with a fifth of the firm’s revenue and 40% of its equity partners.